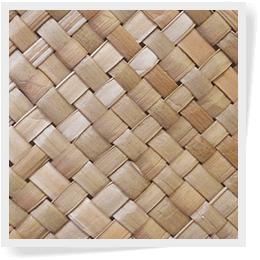 All natural matting comes from the South Pacific where the art of creating matting from the natural leaves of the palm tree is a centuries old tradition passed down from artisan to artisan, generation to generation. The flexible and durable matting, achieved through intensively focused labor by hand, can be cut or trimmed without the risk of unraveling. Glue or staple the matting to any flat surface and begin to realize a tropical ambiance immediately. Please note colors may vary and sizes are approximate. 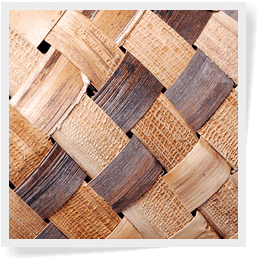 Palm matting is a specific form of matting that uses various types of materials, (such as: Banana Bark, Hala, and Palm leaves), to construct mats. These mats can then be used for a large number of purposes (including, but not limited to, covering walls, ceilings, floors, cabinets and more). In addition, palm constructed mats are reasonably durable as well as pliant are easy to form to any space they are desired to adorn. Furthermore, palm mats — because of the variety in the materials they are made of — each tend to be unique, having their own individual designs, marks and quirks that make them each, truly, one of a kind. Apart from all of this, many palm mats are very affordable, durable, and stylish. We offer the best prices online, with fast and free shipping, (all nationwide), and we also guarantee the quality of our mats and the products used to create them. 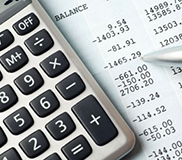 These are top-notch materials, appealing to the eco-friendly aspect that many consumers today are so concerned with. 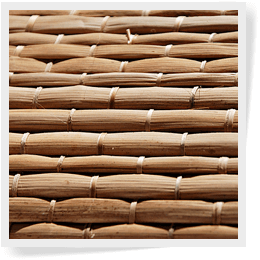 Palm matting can be used for numerous purposes. It can be used to add an island flair to a room, office, or business by using it as a piece of art, it can be used as a decorative and useful floor mat, palm mats can be used to cover cabinetry or to be wrapped around a center kitchen island, the uses are really endless. Two of the most creative uses however, involve using palm matting to cover both walls and ceilings. That’s right, palm matting is a great option to use instead of paint or wall paper, being eco-friendly, durable, lightweight and easy to apply. All one would need to do is use strong adhesive glue or a staple gun, measure the appropriate size onto the mat, cut where necessary and then apply the palm mat to a wall or ceiling for a unique and modern look all their own. The best in DIY products. Palm matting is a very eco friend, green and sustainable way to manufacture mats that will last consumers for years to come. Falling into the bamboo category and using all natural fibers that are not only totally self-sustaining but quickly renewed (via the plant’s own fast growth), consumers of palm matting can rest assured that each product they purchase and use, will A) have never, nor will ever harm the environment in the process of its production, nor B) will it ever harm the environment, (being biodegradable as the fibers each product is constructed with are natural fibers), after the consumer no longer has need for it because of new materials or upgrading or a changing of themes. 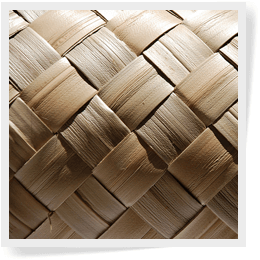 Palm matting is increasing in popularity so we offer several style options. If you wish to purchase a palm mat, options are now available for almost any size they can imagine, and in various different shades and colors, with varying patterns (often unique unto themselves), from which the consumer can choose from. This is great for those who are looking to use the palm mat to add any sort of flair or extra style into their home or office spaces. It should also be noted however that, apart from having many different style options, rest assured that in purchasing a palm mat, you are purchasing a mat with durability, ensuring that its quality lasts. 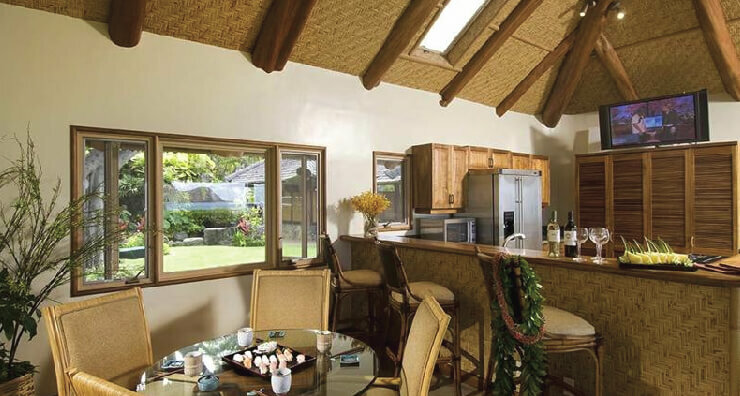 The Lauhala Matting Option - The Lauhala palm matting option is a great option for those who are looking for a palm mat with a slightly darker hue. Consisting of rich, milk chocolate colored layers, the Lauhala palm mat makes a great addition to any home, office or garden, ensuring warm and pleasing tropical vibes. 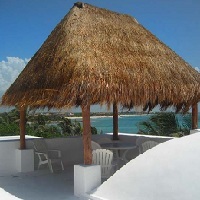 The Cabana Matting Option (or the Bac Bac matting option) - The Cabana palm matting option (also referred to as the Bac Bac matting option), is one in which is made from banana tree bark and is best used for decorative purposes. Consisting of both cream and coffee colored layers, this mat is great for wall art/covering and the like. 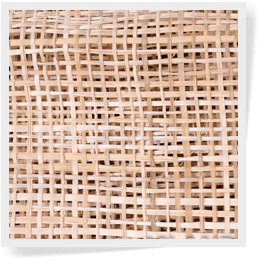 The Abaca Cloth Matting Option - The Abaca cloth matting option is one that is a bit sturdier. Great for using as an actual mat, (but also still lightweight enough to use as a wall or island covering), the Abaca cloth mat is a very durable, burlap style, mat that will last its users ages. 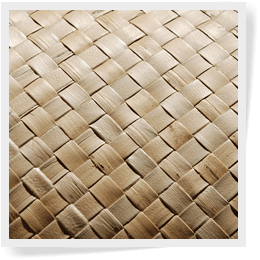 The Lampac Matting Option - The Lampac matting option is a mat that is constructed primarily from reed grass, and is woven to create a close knit, burlap like structure. Slightly less durable than the Abaca cloth, but still able to last years, this lightly colored option is great for both floor and wall use. 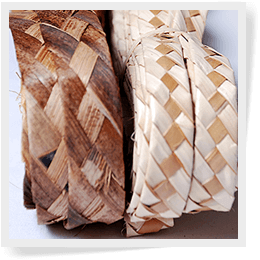 The Fine Weave Lauhala Matting Option - The Fine Weave Lauhala Matting Option is a mat that consists of hand woven Hala leaves. This mat — being made up of a light creamy brown color — is great for both wall use, as well as use as a liner for cabinets, walls, islands and even a child's playpen. Ropes And Braids - The same material that is used to construct many palm mats, is also used to construct various ropes and braids. These ropes and braids can then be used in a variety of fashions, including what traditional rope is used for, as well as a unique way to tie — literally — decor together.